In the early Middle Ages, several Eastern Slavic kingdoms (Belarusian: княствы, also translated as duchies, or principalities) were created on the territory of today’s Belarus. The largest of them, the Duchy of Połack (Polatsk, Polotsk), existed from the 9th century till the 14th century in what is now northern Belarus. It had vassals among Baltic tribes in what today are Latvia and Republic of Lithuania, and competed for influence with other, larger, Eastern Slavic kingdoms such as Kiev and Novgorod. 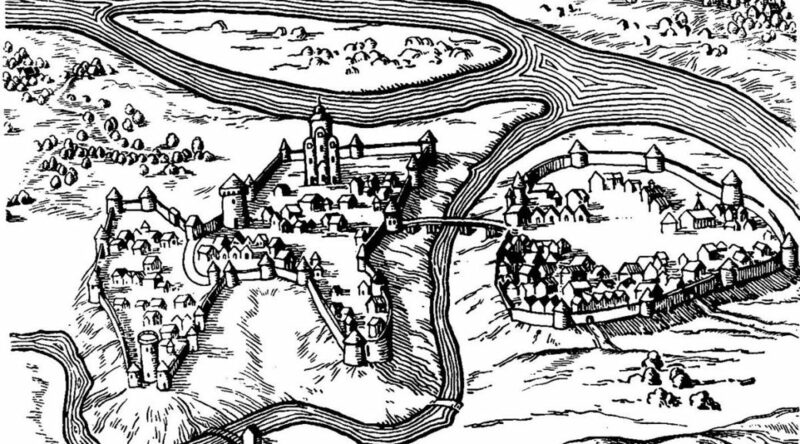 The city of Połack was actively involved in northern European trade with the Hanseatic League. 1101 — 1128 Rahvałod II. 1128 — 1129 Rahvałod III. 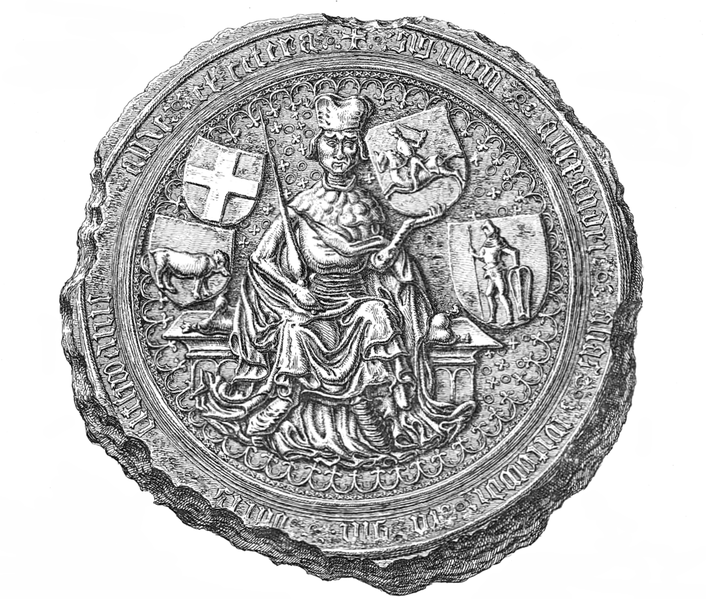 1267 — 1270s Iziasłaŭ II. Following a feudal fragmentation and decline of the Duchy of Połack, by the 14th century the centre of the Belarusian statehood moved westwards, to Navahradak, where, on the borderland between Eastern Slavic and Baltic lands, the next major Belarusian state emerged: the Grand Duchy of Lithuania, Ruthenia and Samogitia (Вялікае княства Літоўскае, Рускае і Жамойцкае). In the form of the Grand Duchy of Lithuania, Ruthenia and Samogitia, medieval Belarus has gained its widest territorial extent. Under Grand Duke Vitaŭt Kiejstutavič, it has been Europe’s largest state with access to the Baltic and Black seas, competing with major regional powers such as Russia, Poland and the Teutonic Order. 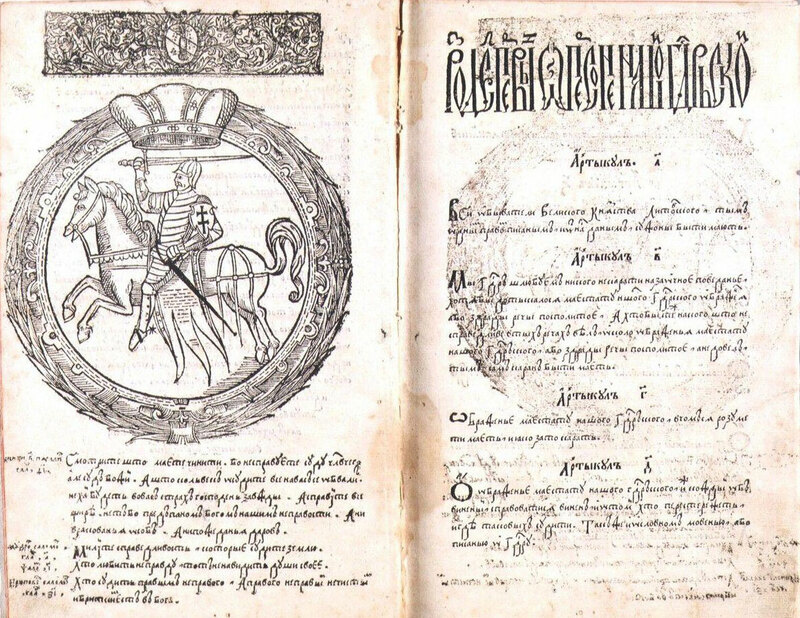 The Statutes of Lithuania, written in Belarusian language, have become one of the great examples of medieval European legislation. The medieval Grand Duchy of Lithuania is a common heritage of today’s Belarusians, Lithuanians and of the Polish people from the Belarusian-Lithuanian borderland. 1506 — 1548 Žygimont І. 1544 — 1569 Žygimont ІІ. Following exhausting and bloody wars against Russia, which several times resulted in the loss of half of Belarus’ population, in 1569 the Grand Duchy of Lithuania, Ruthenia and Samogitia has created a common state with the Kingdom of Poland. As time went on, the Polish language has replaced Belarusian as the language of the elite. The Belarusian nobility increasingly adopted Polish customs and the Polish identity. As a result of a joint aggression by Russia, Prussia and Austria against the Polish-Lithuanian Commonwealth, in the late 18th century Belarus became part of the Russian Empire. 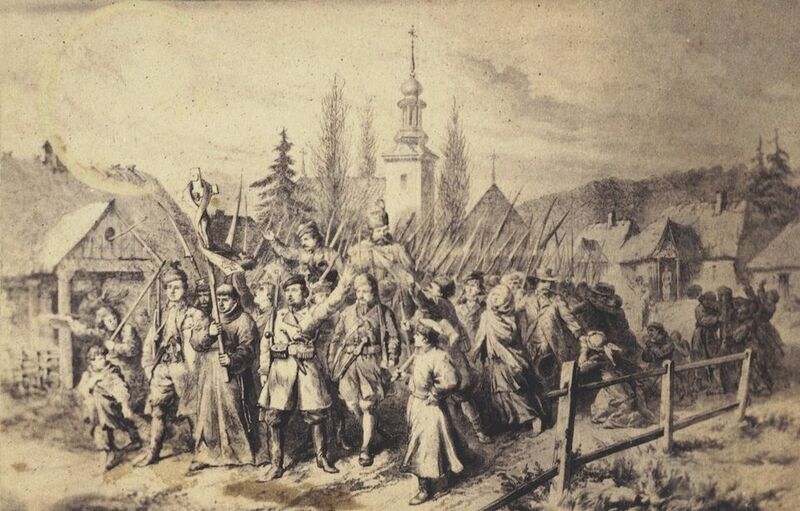 In 1831 and in 1863, two national liberation uprisings took place in Belarus and Poland. Both were brutally defeated by the Russians and were followed by political repressions and increased cultural, linguistic and religious Russification in Belarus. In 1918, after failed attempts to reestablish the Grand Duchy of Lithuania as a federation of modern Belarusians and Lithuanians, the Rada of the Belarusian Democratic Republic has for the first time in history declared Belarus an independent democratic country within the borders with a Belarusian majority population. Several months later, the Government of Belarus has been forced to go into exile by the advancing Russian Bolshevik armies. As their first decree, the Bolsheviks declared the Rada BNR as overthrown. After several months of occupation, they established a pro-Soviet Belarusian puppet State within the borders of the Belarusian Democratic Republic. 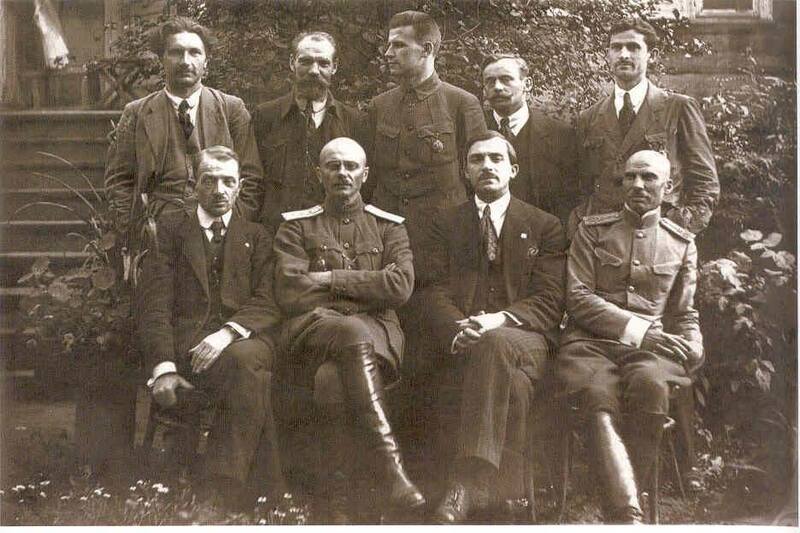 In 1921, the territory of Belarus was divided in half between the Russian Bolsheviks and the nationalist interwar Polish state. In 1924, East Belarus was formally incorporated into the Soviet Union as the Belarusian Soviet Socialist Republic. Between the wars, the Belarusian national liberation movement had to face two enemies on both sides of the Polish-Soviet border. In the East, Belarusian intellectuals and activists have faced repressions from the totalitarian Soviet regime. 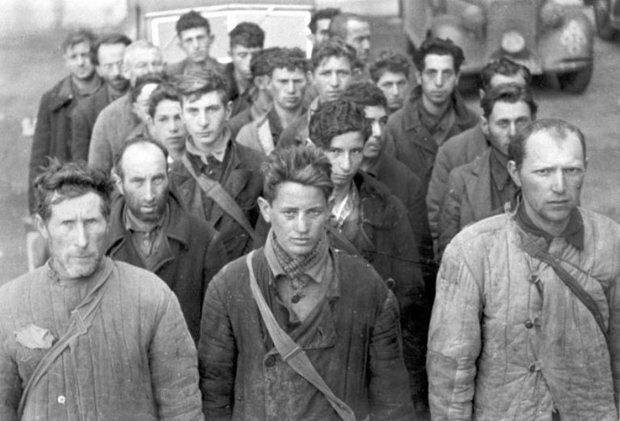 Thousands of Belarusians were deported to Siberia and Kazakhstan, sent to concentration camps or executed in numerous mass extermination sites such as Kurapaty near Minsk. 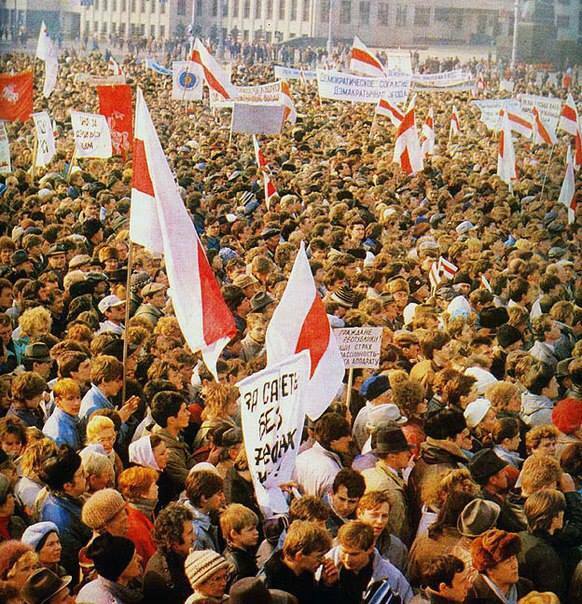 In the West, the Belarusian population faced discrimination in the increasingly authoritarian and nationalistic Poland. At the beginning of the Second World War in 1939, the Soviet Union invaded Poland, and West Belarus became annexed to the Soviet Belarusian Republic. This was accompanied by a new wave of political repressions in West Belarus. In 1941, Belarus became occupied by Nazi Germany. The Nazis carried out mass terror against the civil population of Belarus, especially against the Belarusian Jews. In total, Belarus has lost more than a quarter of its population during World War II. In 1944, Belarus became liberated from the Nazis but remained occupied by the USSR for several decades. The Soviets continued intensive Russification of Belarus. In 1986, Belarus became the biggest victim to the Chernobyl nuclear incident, caused by Soviet mismanagement and technological flaws. In 1991, the Belarusian Soviet Republic declared independence as the Republic of Belarus. 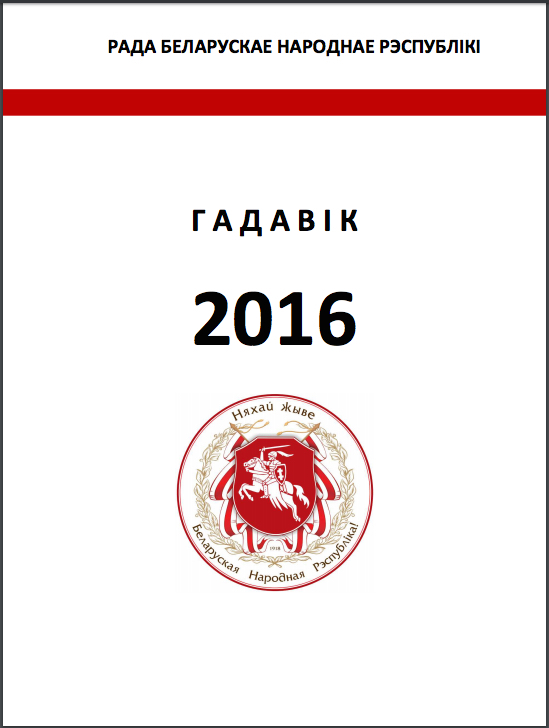 It adopted the state symbols of the Belarusian Democratic Republic. In 1994, Alexander Lukashenka was elected President of Belarus. Following a Russian-supported coup d’etat, which was formalized as two illegal referenda held in 1995 and 1996, he established an authoritarian regime which became has for many years been called “Europe’s last dictatorship”.